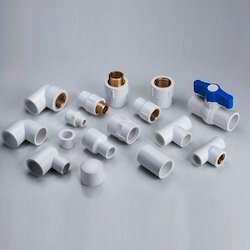 Prominent & Leading Manufacturer from Rajkot, we offer cpvc fittings and chlorinated polyvinyl chloride fittings. 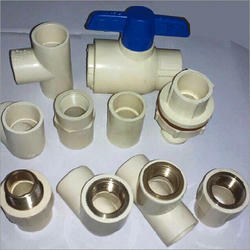 We offer our CPVC Fittings products in market by our professional and experienced engineers. We serve you these products at very effective prices. These CPVC fittings included the slip-on, weld neck, socket, bind, socket etc. We provided these products in square, rectangular or circular shapes for our customers. These CPVC fittings included the slip-on, weld neck, socket, bind, socket etc. We provided these products in square, rectangular or circular shapes for our customers. Looking for CPVC Fittings ?